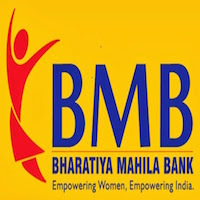 Online Application Details for Bhartiya Mahila Bank BMB Recruitment of 1 Chief Customer Service Officer and 1 Chief Information Officer is given below. Application form and duly attested documents are to be sent to Dy. Gen. Manager (HR), Bharatiya Mahila Bank Ltd., Registered Office, 9 th Floor, IFCI Tower, 61, Nehru Place, New Delhi. In envelope super scribed with 'Application for the Post of Post Name'.